The Sigma Quattro H is a mirrorless interchangeable lens camera with an APS-H (1.3x crop) sensor. 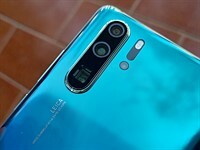 It has a spatial resolution of 25.5MP but uses a sensor technology very different from other cameras, capturing around 38M pieces of information and capable of producing files with far higher levels of detail than you'd expect from a conventional 25.5MP camera. 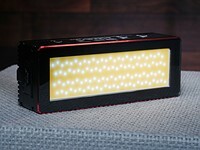 In keeping with Sigma's history of idiosyncratic innovation, there are two things that set it apart from the majority of mirrorless cameras: the use of a full-depth DSLR mount (the company's own SA mount) and the use of a Foveon X3 Quattro sensor, which captures light and perceives color very differently from other cameras. This isn't the first time we've seen a camera maker build a camera around a full depth DSLR mount, rather than taking advantage of the lack of mirror to make the camera smaller: Pentax's K-01 took the same approach. There are two potential disadvantages of this approach. The first is, as you'd expect, the wasted space of building a mirror box for a camera with no mirror. The second, arguably more important downside, is that most DSLR lenses are designed and optimized for phase detection autofocus and they often perform poorly when asked to focus by contrast detection, meaning you have a wide choice of lenses but perpetually hamstrung performance. Sigma has tried to mitigate this by adopting on-sensor phase detection in the SD Quattro H.
If nothing else, the use of the full-depth SA lens mount means you can use any of Sigma's impressive Art series of lenses. The obvious appeal of using an existing mount is that the lenses already exist for it. Sigma produces SA mount versions of 39 of its lenses, which plausibly means the Quattro H has one of the widest choices of own-brand lenses of any mirrorless camera. 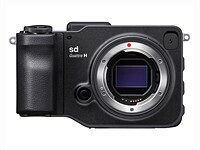 The X3 Quattro sensor is at the heart of what makes the SD Quattro H interesting and is, far more than any physical difference, the thing that most sets this camera apart from all its rivals. As with all Foveon chips, the sensor interprets color based on the fact that different colors of light have different amounts of energy and so can penetrate the sensor to different depths. This is radically different from conventional designs that place filters in front of the sensor, throwing away around half of all the light so that each pixel only 'sees' light of a predetermined color. Unlike previous Foveon chips, the Quattro design doesn't attempt to capture full color information at every pixel, instead capturing more spatial resolution than color resolution. This is a fundamentally similar trade-off made by conventional sensors, so it'll be interesting to see whether this latest design can maintain enough of what made Foveon distinctive while trying to offer more competitive results in other respects. The 'H' in the camera's name refers to the use of an APS-H sensor (26.7 x 17.9mm), which imparts a 1.35x crop, rather than the 1.5x of APS-C and is about 30% larger. The camera will automatically use a cropped region of its sensor if you mount one of Sigma's 'DC' APS-C lenses on it, but this can be switched off if you want to capture the full extent of the lens's image circle. The other big difference is that the Quattro H can be set to shoot DNG files. These are produced by the camera deconvoluting its sensor's output and writing them as ~150MB files with three 12-bit color channels. This means the files are significantly larger and theoretically less flexible than the camera's native X3F Raw files. The DNGs can't be used with the camera's in-camera Raw converter and you can't shoot DNG + JPEG, but it hugely expands choice of software for processing the files. For this reason, the rest of the review will primarily be based on the camera's DNG output. This, and its limited application, is why we won't be testing the X3F-only Super Fine Detail mode, which shoots seven images at different exposures then combines them to create an image with greater dynamic range (both through capturing a broader range of tones and the noise-cancelling effect of image combination). 3 What is Foveon Quattro and is it any good? How good for Sigma SD Quattro H? Does they have enough APS-H lenses? I think you have to use full frame lenses or APS C in crop mode. I think that I might buy one tomorrow if I could use EF mount lenses on it as I have many of those including Sigma made EF mount lenses but no SD lenses and I already have camera bodies that are happy to second mount (adapt) EF lenses. Therefore, nice camera but no money in my locker to start off into a new mount system when I am already very well set somewhere else. The issue in a nutshell. Bt of course making a camera body with some other companies proprietary mount system (other than perhaps m4/3) is going to be a probable unsurmounable hurdle - end of the other story. I fancy a Foven camera for long time, but the price was just too high for me until recently, Sigma released couple fixed lens Quattro made me rethink, and now the Quattro H. According to Amazon the price of the SD Quattro with lens is similar to the fixed lens one, it seems silly to get a fixed lens one. I know there are limitation in the Quattro compare with a regular bayer sensor one, it is the color and sharpness made it stand out from the crowd. I have a regular DSLR already, getting a Quattro means invest on another line of lenses, and limit to day time shooting, no wildlife no sport...etc., so I guess I will get a used one with fixed lens to get a taste of the Foven. Enjoy! I love my SD Quattro, the images I get for the money I paid are unreal. Beautiful colour, depth and detail. Sold my A7 as it was gathering dust. Low light is an issue, but I have an X100f for the rare times I need to shoot without lights or a tripod. What guys need to do is quite simply produce it with, Canon, Nikon and Sony E mount. I do not say this lightly, but as a second body for certain work-which IS what it is , this machine will not sell in sufficient quantity as all of us use Sigma lenses in other mounts and VERY MUCH resent having to duplicate lenses as the mount is utterly incompatible with everything else. We started buying the lenses when they got good a few years ago, but we did not buy the bodies as they were totally naff, or had fixed lenses for each body as the ultimate non-choice rip-off and tiny batteries that last around a half an hour! That said could DPreview STOP sharpening their sample jpegs? As here there are striations in the car and grain in the dome shadows at 100iso that might not otherwise be there. NO sharpening gives a level playing field fair for all images, thankyou. Which car image are you referring to, in terms of it being sharpened? Something within the pages of the review or an image in the samples gallery? The SD-1 and at least some of the other Sigma DSLRs have a removable IR/dust filter that made shooting near IR easy. Do the mirrorless cameras have the same type of IR filter? With live view, it would seem to make a good IR camera if the IR filter is removable. 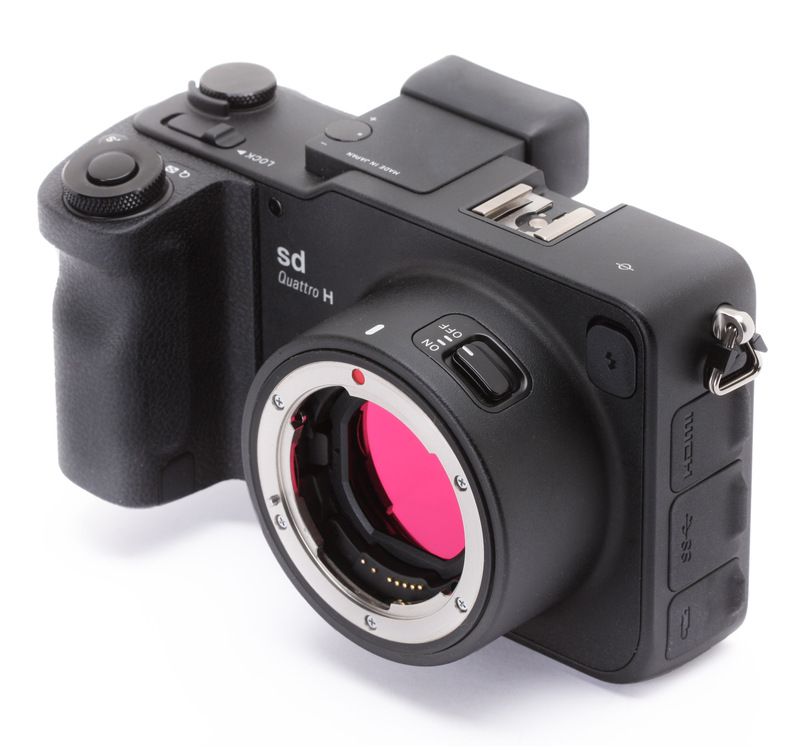 All the Sigma SD DSLR/ICL cameras are fitted with a removable IR/dust filter. The fixed lens DP/dp cameras are not. In section 6 (Appendix - Tests) there is a section regarding X3F and DNG. Most cameras (all but Sigma?) scales the RAW data so that they are "correct". They even do digital scaling for higher ISO, when the signal is not analogue amplified. This digital scaling is unnecessary and it only causes clipping of highlights. In the X3F file this is not made, which is a great advantage. Instead, the actual max value is stored in meta data. Nice thinking Sigma! And bad thinking, all other cameras! Unfortunately, Sigma scale the data to DNG. This is totally unnecessary as our Kalpanika X3F->DNG converter shows. DNG also has meta data to tell the max value. As far as I can see a serious mistake by Sigma. I also wonder when DPR will mention that all other cameras has the disadvantage of Sigma DNG. Would be nice to read in a review in the cons list :) Or - at least in the pro list for Sigma. Drop me a private message if you want to discuss this further. The only digital scaling (which I agree achieves nothing but clipping highlights) I saw was ISO 200 in DNG mode. Conversely, the only use of low amplification and tags to indicate brighter rendering intent was ISO 200 in X3F mode (which is something we see on a fair number of other cameras, including most Olympuses). If you have more detailed insight, though, I'd love to hear it. 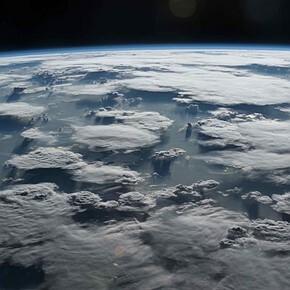 I love an underdog, go sigma, great images in the right light! Sooner or later we will see the APS-H Foveon Sensor inside the dp series at the Photokina 2019 in Cologne. And in the meantime enjoy the Quattros now! If those falling prices are indication, we might see new DP Quattros with the APSH sensor. Best bargain for me is a used sd Quattro C for roundabout 500.– with exeptional low ISO file quality for this special price. I'm seeing used Quattro H's already here in HK for less than 800 USD. Yes, the Foveon technology has its strengths and flaws. Like many of us, the sd quattro is not perfect. But this camera is a fantastic tool in the right hands and do not forget Robert Frank: "The eye should lern to listen before it looks." Using my eyeballs and ignoring hype; the color accuracy of the test scene might be the worst of any dSLR I've seen to date. Not sure what glue sniffer at Dpreview is comparing it to the K-1, but all I'm seeing is blown out colors with terrible chroma detail. Decent spatial detail, but my world consists of color. As predicted, +18mp bayer technology has made Foveon obsolete. Moving on. No idea where you found "terrible chroma detail". Sure, if you pixel-peep the DNGs, then yes, you can see the flaws that are typical to how foveon sensors work, but no observer is going to do that. As far as my eyes tell me - the detail is just fine. Not the "amazing" kind of fine, but more than usable. Combine that with spacial detail, and the results are quite amazing. For the price I would definitely consider this camera as my main landscape shooter if I didn't already have a better (and waaaay more expensive) option. Sure, it's not even close to Pentax K1, it's silly to claim otherwise, but it's still a very interesting choice. The problem with this camera is that there's barely an audience for it. It's not good for beginners, given its quirkiness and lack of flexibility, while most enthusiasts and pros already have better options for landscapes. It's something of a product that one would buy out of a curiosity and love for unconventional cameras, but for serious work... nah. I will be interesting to see a comparison of Raw processing of X3F with SilkyPix Pro 8 when it begins to support the SDQ-H (it currently supports DPQ). I don't like at all the Foveon Quattro tech, don't have nothing with the unique in the world exceptional amazing image quality, color appealing, film-like of the previous generations of Foveon, made of three equal layer of red, green and blue. Even at ISO 100 images have a poor S/N ratio and are infested by artifacts. Look at the red car photographed by Richard Butler, in the reality and looked with own eyes this car is shiny in every part: chrome parts, paint, glasses; instead captured by Quattro appear unnatural, unreal, cool, muted and dull, without any appeal, it look not a photo, it is like made by computer graphic software!! I dunno what they did from ISO 800 upwards, but it looks worse than a point-and-shoot camera from the 90s. ISO 6400 - awful, its like the worst I've seen ever. But its detail rendering from ISO 100-800 beats all of its peers. Look at the line drawing on the upper left of the test scene. That detail even puts a Canon 5D4 and a Nikon D5 to shame. Kinda tragic regarding the ISO performance. I'm seeing the K-1 and 810 samples produce at least 30-40% more detail in that scene than the Sigma. Please stop using your smartphone for viewing this matter. It's obvious on 19" monitor. @Scott Eaton, firstly, most modern smartphones actually have higher DPI screens than your 19" monitor. Secondly, even if there was a 30% less detail, it would be bloody spectacular, compared to FF high-res cameras that cost more than twice as much. @Scott Eaton. First off, the 810 got 36 MP and Sigma got 25 MP. Secondly its full frame. And third, nevertheless it got some serious moiré issues. So scaled down to comparable size, the Sigma still has the edge over the double as expensive camera. But I was talking about like 90% other cameras, especially APS-C peers, and even on a smartphone (which I didn't use) a blind man could see the difference. The deal breaker for me is the mount. If they make a removable mount, and let the 3rd party manufacture all kinds of adapters, I really wouldn't mind trying out this camera. The key is I don't have to buy the Sigma mount lenses and just use whatever I have. Sigma should know there are more EF and F mount sigma lens owners out there. I am very happy with the dp0, dp2 and dp3 with mit tele converter and the little sister of the H, the original sd Quattro "C" and the new 100-400mm Contemporary lens. Its great value. Can i use any actual SA-DG Lens on the Quattro H ? Thanks for the overview. Seems to be a bit of raffle, when not owning art lenses, which lens might work and which not. As I wrote before, this seems to be an interesting camera. I care about ISO 100-3200 give or take. I already have a pretty full Nikon FF system and a second system built around mft. I tend to use the second and would not go for a camera that has similar technology. But I always liked the idea of the foveon sensor and I could consider trying one, which is why I went through a lot of comments here. Notice the red thread spool, which is all blurred in the DPreview sample images in the comparison tool. They obviously over-processed the raw file (or maybe the camera just didn't record the detail into the DNG file - try looking at the high resolution version though, which is processed from the .x3f raw file - too much noise reduction!). How is this camera vs Sigma DP2 Merrill? The color rendition of the Quattro cameras is very different from the Merrill cameras and previous cameras with Foveon sensors. 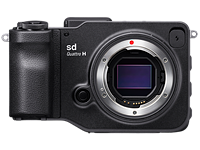 The SD Quattro cameras are faster and include live view, because they are similar in that respect to the DP series, but they have an electronic viewfinder. You said you hate the DP2 for its image quality. You might have an issue with the noise of the Quattro sensor. Eliminating it the best way requires post-processing in programs other than SPP. The new DNG feature will probably not make you happy, because it is flawed, so far. It may get better, but for now it has some slight problems, though having it is better than being limited to jpegs, if you absolutely refuse to use SPP. I have a DP2, and personally I like the IQ. What I found interesting in the studio scene @ ISO 100 was that if you pull the window to the green feather on the lower left, the remarkable level of sharpness with the DP1 compared to the others. Then if you pull the window a little to the right you get a facefull of CA with the DP! Personally I would rather deal with correcting CA vs sharpness. "This, and its limited application, is why we won't be testing the X3F-only Super Fine Detail mode, which shoots seven images at different exposures then combines them to create an image with greater dynamic range (both through capturing a broader range of tones and the noise-cancelling effect of image combination)." So you won't test a mode of this camera that potentially yields the best results. Did DPR test the sensor shift mechanism on Oly's 4/3 cameras that delivers a cira 40mp image? I think so. Apart from the lack of consistency NOT testing a specialist mode on a camera that (in this case) offers the landscape photographer superior results is just plain bizarre and the justification for not testing it is quite frankly ludicrous. The article maybe focuses a bit too much on the choice of mount and its implications for size. But this is misplaced given that Sigma also sells the DPQ series of fixed lens cameras which are targeted at high image quality/portability ratio. So they do have that end of things covered - and are correct to focus elsewhere with this particular product. The choice of mount has not only implications for size, but also for compatibility. Sigma's large flange distance precludes the use of non-native lenses, which is extremely limiting and makes it a complete non-starter. 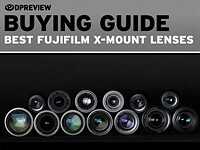 Compare this to Sony's E-mount or MFT, with which you can use pretty much any lens known to man. If your purpose of buying a camera is to experiment with non-native lenses, this is not the camera for you. If optimum image quality is your target, there's little wrong with Sigma's Art lenses. Exactly - they make great lenses and they eat to support that. The product seems well targeted and focused on serving specific brief. Kudos to Sigma for staying focused. Small companies like this needs to target specific niches and do well at it. I use M42 lenses on my SD Quattro. And we all know there are thousands of those stretching from €10 to €1000 on eBay. So if one wants to adapt vintage glass there is plentiful. And modern there is the Sigma line which certainly delivers. Yes but again, why would Sigma, the lens company, make a camera BODY that was not focused on selling lenses made by Sigma? Surely you can see that with their limited resources, they cant do this tangential product (body rather than lens) with enabling vintage lens as a primary focus? It can only be justified by what synergies it adds to their system. ". . . why would Sigma, the lens company, make a camera BODY that was not focused on selling lenses made by Sigma?" Because Sony did. It will be interesting if all these people say the same thing about Nikon and Canon if they create mirrorless cameras with their legacy mounts. Sigma has used their legacy mount for a number of reasons. The main one is that they have a system of lenses that they've just developed, which work well for it, and they have other cameras, like the SD1 Merrill, which use such lenses. 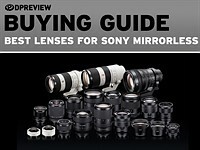 Why alienate their customer base like Sony has done, and cause all sorts of problems with their new customers, who want a bunch of "native" lenses? Sure, they have a handful of lenses for the Sony mount, which they could make in a new mirrorless mount, but they have a lot more good quality lenses for their legacy mount. We COULD see a new mount come in the future, but I think they've made the right choice for now. Yes I have read all your comments, but no, I have not modified my opinion. Since Sigma now make full-frame lenses as good as anybody else's , why should Sigma fans be deprived of a full frame Foveon sensor to match everybody else's full-frame sensors? 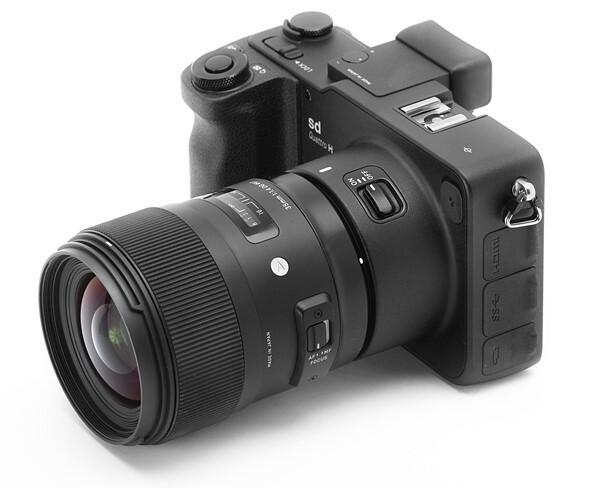 If I can stick a Sigma Art lens on a Canon 5Dr or Nikon D5 or D800 and get decent resolution, and 2000 raw shot battery life (regularly on my D800, with large fine jpegs, and no grip), why cant I buy a FF Sigma? Is the answer because there are some people who dont WANT a full-frame Foveon sensor?? Because they are in love with "the sweet spot", the sensor's, not their own or their partners?! Who ARE these people exactly, and why do they gang up on the sane and back mean old Sigma's APS-C regime? Why not North Korea? "Since Sigma now make full-frame lenses as good as anybody else's , why should Sigma fans be deprived of a full frame Foveon sensor to match everybody else's full-frame sensors?" Because APSH is the limit for single piece fabrication. And bigger sensors have to be pieced, therefore they cost much more to make. Who cares how it is written as long as you get the meaning? Oh, there are a lot of people who would like to see a full-frame Sigma camera . . . and I bet even Mr. Yamaki, CEO of Sigma, would like to see one . . . but they have to take baby steps, and they are doing that quite well. Sigma has just introduced the two least expensive new interchangeable lens cameras they have ever made, and it looks like they are a hit (to a degree). I think Sigma will make a new and better camera, which they will introduce next year. Hopefully it will be a full-frame camera, but I would be happy if it is just a faster SD Quattro H with a tilt screen, Wi-Fi, and GPS. If it's a full-frame camera, it might come in a new body design. If so, it might have a tilt screen, which I would really like to see. Hopefully it will have two card slots too. If it's full-frame, I'm hoping for Merrill design, but Quattro with the same pixel density would be amazing too. 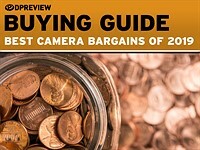 I'm hoping it is around $2,000 if it's a full-frame camera, but $3,000 would be o.k. too. I use Sigma Art Line Lenses. I use the SD Quattro and really like it. Colors are second to none imo. Might invest in an H down the road. Yes, the very best image quality will be seen in a correct raw development by the original raw software, but the fast DNG workflow with lightroom is an easy way to get very good results for the daily work. I shoot RAW+JPEG and its fine. 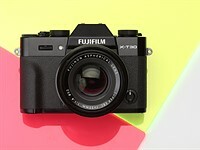 The best of both worlds and the jpg results are on par with the very best jpg engine from FUJIFILM for example. In other words. This camera is designed for guys who loves photography. From my personal point of view. And thanks for the dpreview! every camera is designed for "guys" who love photography. There are some cameras out, i can‘t believe. More financial business management, rather than, the passion for photography. For daily work I still use the Canon 5D M3, I admit that I use the green mode plus flash for party photos, why not? Usable straight out of the camera and everybody is happy because the framing and angles are still better than from the "my friend has a Nikon" guy. But for work that "counts" like architecture and repro, where the object doesn't move and you can take your time, the Sigma really shines and is worth the extra effort. And for the price of a Canon 5D M3 & lens I can buy all 4 DP Quattros, which I never will have to clean the sensor and one of the best 14mm wide angle lenses of all times. But the question isn't which party makes for the best out of camera jpeg image quality. It isn't Canon by the way. If this Sigma doesn't interest you don't buy one. No, it is not camera to carry around at a wedding reception. The point wasn't Canon produces the best OOC JPGs, but for shure sufficient for party fotos! The Sigma DP0 Q is now for 1 year my workhorse and it wouldn't be like this if I would see any problems, I have a steady workflow from A-Z which works fine for me. And FYI I have actually 9 Sigma DP and SD cameras plus 8 lenses to work with since the original DP1X came out 2010. The point isn't that you claimed Canon has the best jpegs, it's that you went out of your way to bash Nikon, which is silly and ignorant. So therefore I called attention to the fact that Canon also doesn't have the best out of camera jpegs. The quattro lineup looks very generic (picture-quality wise, including colour rendering) as opposed to the merrill line which is exceptionally good. I also think they have gone in the wrong direction. wow, yes thanks for doing that! Thank you, Scot. This might although be the reason why the DP2 test scene looks much better. By the way - i've although moved from Bayer to SD Quattro as my preferred workhorse. It is worth to really learn SPP and make tests till you have figured it out which way is best for the photographers shooting style. SPP is a underestimated tool which can deliver really stunning output. I process only in SPP and do some dodging and burning in PS if necessary which is about all. If somebody is fixed on the traditional way of LR & PS then develop the X3F in SPP neutral and export in 16bit TIF to go further in LR. A few years ago I considered the Sigma SD14 and the Canon 5D which cost the same. I went for the 5D. Still, I'll never know until I try. By the time it arrives in Oz it will have cost $1499, not an impossible sum to try it out. The comment about better processing power is interesting. Years ago I made the same decision you did, and I got a Canon 5 D instead of the Sigma SD 14. I always wondered, but I was happy to shoot the many raw files in a row, which I could do with the Canon. At the time it may have been the right decision for me, but in time I eventually got an SD 14 and saw the error of my ways. The files from the SD 14 are amazing, and I wished I had made a different decision. Still, the SD 14 was a camera that never caught on. No Sigma camera seems to catch on. Still, they are gradually getting more and more popular, and now I shoot with an SD1 Merrill. I LOVE it . . . but it has its place. I have a Sony A65 now too (folding screen, EVF, GPS, IBIS, etc. ), and I use it from time to time. One day I will buy anther Canon camera, but it will probably not be soon. I'll get an SD Quattro H and a Sony A6500 first (and eventually an A7r II probably). You see, with Sigma's adapter I can use the lenses for my SD1 Merrill (and any Sigma camera) on a Sony mirrorless. An interesting read, what was the wow factor with the SD1 Merrill? The photos I get with my SD1, while more difficult to get right, are just plain better. The color seems to be more accurate, and while I haven't tested the exact same lens on both cameras, it seems to capture more detail in photos, though the photos are 14.7 MP vs 24 MP. One thing it does not do so well is shoot at high ISO settings, like ISO 1600. For that type of stuff I shoot the Sony A65 (which isn't a king of high ISO either). I'm not a high ISO shooter though. I rarely need to shoot at more than ISO 200. The vast majority of my photos are ISO 100. I'm sure if I had a D800 or 5Ds then I would probably shoot in situations where I would need to set my camera to ISO 400 or even ISO 800 a lot more often, but I'm happy with what I have been shooting, so I find no significant need for that. Will anyone beside the die-hard color hawk photographers see any difference in color? How many printers & monitors can actually show the rendition from the camera accurately? On paper you can fantasies about any specs but in reality are they ever even seen? At the end of the day sRGB JPEGs online can only show so much color & then unless you are actually selling large format 16-bit printed work in galleries there is not really any benefit to this camera. That's true, except that this camera will save you money vs. a Canon 5 Ds or Sony A7r II or Nikon D810 or any one of many other cameras people buy to get high resolution. What's the point of buying a medium format camera, given what you have written here? I dont see how it will save money. In any case, you still need another camera due to this camera has lots of grain at higher ISOs. how is it going to save me money..does it shoot 4k video? can i shoot high iso and get nice clean pictures? how good is the AF system? I said it would save you money vs. those other more expensive cameras, for high resolution photos. That's not video. If you need to shoot 4K video then you should probably get the much more expensive Sony A7r II. 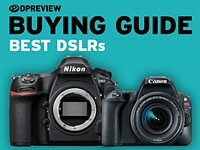 If you need to shoot high ISO photos, like wide-field starscapes, then you should probably get the Nikon D810 and the 14-24mm f2.8 G.
For most photography the SD Quattro H is a $1,200 camera that performs like a $3,000 camera. With the money you save you can buy the 12-24mm f4 Art lens, or if you aren't into wide-angle shots, you might want to try the 50mm f1.4 Art or the new and amazing 85mm f1.4 Art (the best lens DXO has ever tested). Used as a studio camera, it's excellent. I wish they would use OLED instead of LCD for VF and rear display. LCD is old tech. This is a budget camera. Since LCD works fine, they decided not to spend the extra money to use an OLED. That's what Sigma is all about . . . providing a good quality product for less money. Budget camera is now $1200 body only? Other manufacturers have been able to incorporate OLED screens for much less. Samsung, Olympus, etc. Martin there are a lot more Art lenses than that, and yes, it is a budget camera, compared to the $3,500 Canon 5 Ds or the other competitors, such as the Nikon D810. The Nikon D610 is not in the same class, so you just can't compare its price against the price of the SD Quattro H . . . thought the D610 is $300 more than the SD Quattro H, which makes it 25% more expensive, though it does not offer the same image quality at low ISO settings, where most landscape, studio, and portrait photographer shoot. The fact is Sigma offers a great line-up of Art lenses today. With this camera someone can put together a really great two or three-lens kit with a camera capable of very high image quality, and they can save over $1,000 doing it. Yes, they have to make some compromises. We always do, right? 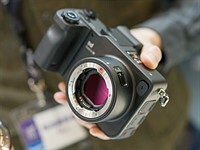 If not, we would all have Phase One XF cameras with 100 MP sensors. This dng, which version of Photoshop and lightroom support it? And would someone do a test comparing quattro, d810 and 5ds? The test should include studio, landscape and natural light portrait taken in the same lighting conditions and at the same time of day, all of those iso50 and 100, apertures f/8-11 for studio and landscape and f/2.8 -4 for the portrait in natural light. Nikon D610 does not deliver similar IQ than SDQ. I get my SDQ 30 f1.4 kit for $360 less than a single D610 body without glass. At iso 100 I can get better results for far chepaer. I'd happily go for D610 for $600 more than SDQ, if I can get these results at low iso, plus win some DR and high iso IQ what is not vital for me. But d610 can't deliver, even D810 may not. D810 get really close, in some aspect better even at base iso, like DR, but other aspect like clarity it fall behind. Btw, D610 (600) and D810 (800) are not so different when it comes to resolution. Often the lens choice is the limiting factor with resolution.. 24-70 f/2.8 looks almost the same for whichever purpose on D610 RAW ISO 50 as on the D800. The linear resolution gain of the D810 gets normalized and becomes imperceptible because the lens outputs around 13-14 MPix resolution when AA filter is used and this is pushed (sharpened) to 20 Mpix if your camera is free of AA filter (D810). I doubt that those 20 AA-free MPix resolution is real. What's the true resolution of the Sigma? 15-16 MPix? Is this enough gain? This is not about resolution, the problem is bayer demosaic, you not get real 24MP. Foveon without interpolation provide the true resolution, even Quattro sensor has better per pixel resolution than bayer or xtrans. Downsizing from 36 or higher MP is a kind of solution, even it's not perfect, and not match to foveon. If you want high resolution (higher than 20MP), then you'd go for MF cameras. Interesting camera, but it can never be my main. Just an alternative. Horses for courses. I would not suggest someone get only a Sigma SD Quattro H, unless they have specific requirements, such as shooting paintings in a studio or shooting landscapes only at ISO 100 from a tripod. Then I would recommend it. It's not an all-rounder, like the Nikon D750 or a Canon 80 D.
Viewing the images they appear to have a very fine 'sandy' grain which is new for Foveon. I don't see any advantage over a higher end bayer camera eg a D810 that is so much more versatile. Was the SD1 the last true Foveon? It is quite nasty when viewing 1:1 but it is fine for prints. Notice that the processed X3F Raw files have less noise than the DNG conversions or the OOC JPEGs. I think the main advantage is detail, if you're willing to work within the limitations. The story is very simple. If you don't see any advantage of foveon images than stick with Bayer sensor camera. It's an easy way, far more convinient and you don't lose anything IQ wise. I prefer foveon rendition, I tried to get similar look from bayer sensor, and every time it just failed. Useless to convince each other which is better, or how similar, or about flaws. Only matter which images are satisfy you. Just you, no other photographers. The sandy grain is often a result of image processing. You need to try some raw files yourself in SPP to see what you REALLY think of the image quality. Spot on. The term "sand noise" has become common in the Sigma community since Quattro was released. Sigma has tried to cover it up with stronger noise reduction at default Sigma Photo Pro settings. The result is posterisation as seen perfectly in the dpreview test image. If your goal is true image quality, then stick with previous (real) Foveon generations. If your goal is more lp/mm (line pairs per millimeter) then Quattro will be the choice. As a pro Photographer I am very sensitive to image qualitiy. I have had an SD14 and an SD1 both of which had that lovely high acuity detail and saturated colour. Occasionally the colour was weird and shadows blotchy. 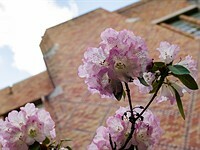 The main limitation was not being able to choose colour temperature (white balance). At least with DNG files you will be able do that. I am doubtful about the IQ of the Quattro from what I have seen so far. Baumgratner: I downloaded the DNG of the red mustang and boy what a sandy grained and posterised image with terrible colour tone transitions on the car. Is this the best from Quattro? I wish they had also shot some XF3. @Dougbm_2 -- SD14 and SD1 were not able to shoot Raw? There's no prerequisite to "choose white balance" with Raw capture -- that can be done in the processing stage. You must be referring to JPEG capture. 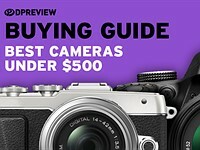 What I think would be really interesting, is a DPReview article showing the evolution of the Foveon sensor and cameras including samples shot with each generation. I'm sure Sigma would be willing to help with that. @obsolescence: Of course they shot Raw but XF3 not DNG. Any DSLR (and many compacts etc) EXCEPT Sigmas previous cameras has a white balance setting for RAW or jpeg. Except a pinhole camera. @ Dougbm_2 -- White balance setting in Raw only serves as a starting point for processing ("as shot"); further corrections are then made to taste. 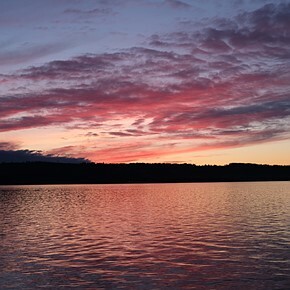 Why do you think the absence of a camera white balance setting is a limitation? No mention if the viewfinder's placement to the center right is comfortable - especially for left eye shooters. It is. I have been using mine for a couple of months now. The viewfinder issue is a non-issue. You don't even notice where it is, you just use it. Meanwhile, for me, the SDQ images are great. I think this is fair review. But Sigma needs to bring back the true Foveon. Let's sign a petition or something. If you like that, use the Low Res mode. Thats the alternative to get the "old" 1:1:1 rhythm by 3.088x2.056 pixels for all layers. Thank you @41mm -- I did not know that. The Merrill sensor was announced in 2010. The Quattro H is state of the art and for example a fluidly DNG Lightroom workflow and more, not less. I owned Merrills, but i like the Quattros more. Well, I have an SD1 Merrill, and I love it. Still, it has addicted me to image quality again, and now I plan to get the SD Quattro H. I hope my experience will be worth the money. I'm pretty confident it will be . . . especially since I will have live view, once I get the SD Quattro H.
You only say that because you don't know what they've done with the image processing. They SHOULD fix the ISO 1600 raw image, because it is a bad example of what the camera is capable of producing. But they chose to use only DNG instead of the real raw files and SPP to process them. That's their prerogative, but it misleads people to think the image quality from this camera is worse than it normally would be. I did not even read the review, I only read the conclusion and I say the conclusion is fair. It's not something new for us Sigma users - a camera that is not for everyone, with best IQ in good light. Scottelly. But I suspect 90% of people (me included) would choose DNG. Anything to avoid SPP. The idea with SPP is to do as much as you want in that program, do it with reasonable speed, and get to a tif of jpg file. My feeling at this point is that the Q files from SPP do not need a lot of additional work. So unless the issue is doing a whole lot of files on one sitting SPP is not that much of a burden. The most recent SPP is, I am told, a lot faster than prior versions. I have been using SPP 6.5.3 and it seems to work at a reasonable speed. I edited a couple of files in Lr. There is some noise at base ISO specially if you pull the shadows a little, however the files are so sharp that Noise Reduction does not affect sharpness in any way, EXCEPT in foliage and grass, which becomes awfully mushy, so I would go for localized noise reduction to prevent this. There is also the issue of strange CA patterns once you go out of the center and around-center parts of the image. I own these Sigma lenses and they do not behave like that on my camera. My guess is that this is has something to do with the Foveon stacked design. Overall I still think that the files are great and unique. Perhaps I will pick up this camera once they start showing up on the used market. What program would you use for local NR? Would you make a selection in PS and apply NR to that? Good question. I'm not sure if something like Capture 1 provides a good Noise Reduction brush with configurable settings. You could do this in Lr and it would do the job but it doesn't have all the options as the general NR adjustment does. The major problem is that you still have a 6MP Red-Green camera. If you pay attention to the cyan-orange and blue-red bullseye you see the problem: all manner of color artifacts and very strange boundaries. They claim the 24-MP data collected for the other colors is "losslessly compressed" but that is clearly not true, and with the Green and Red being cosited, its still going to be a 6MP capture. You can see this in the images. I'd rather they had stuck with the "true" Merrill design and even down-throttled the MPs if necessary. Those cameras at least excel in ways no other sensor can (admitting some of the Foveon drawbacks). I think the Foveon Merrils will be one of the hallmarks of digital imaging-although the modern stuff doesn't seem to draw much interest from historians, scholars, etc. As you know, a 24MP camera with a Bayer sensor is a 6MP blue, 6MP red and 12 MP green camera. Gesture I agree completely, the Merrills are tremendous looking sensors and should be continued but higher resolution and use sony type stacking to get some analog and then digital noise reduction at the sensor level, a/d included. foveon just needs better tech and 3X sensors could beat ANY compable bayer tech including sony's. also faster better dsp's and algorithms would help downstream, make cams faster and even a possible sports foveon/sigma !! 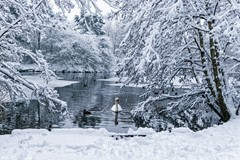 but those Merrills are magnificent for landscape, the DP-Ms with optimized lens are wonderful, picture wise that is. 41mm, the "so what" is that any modern APSC/H Beyer sensor will have a 4 stop or better advantage over the latest Sigma with similar croma sampling resolution. You can see this easily by simply selecting 400 or 800 ISO on the IQ DPR comparison page. The new Sigma's oversampling of the Blue channel also INTRODUCES color artifacts - the big complaint against Bayer. My K-1 ( and the cheaper K-3 ) has at least a 5 stop advantage over the Sigma, maybe more. Its has significantly wider DR, and even for studio work, pulling stuff from the shadows, there is no substitute for that. Then add the K-1 / K-3 pixel shift stuff - which samples R / G / G / B for all 36 M photosites produces images with significantly more resolution, DR, and provides a stop or two of lower noise, even at base ISO. It truly is just magic for static subjects. That is to say, it may not be applicable to portrature. Sadly the Sigma technology, while cool, is woefully dated, an evolutionary dead end. Krampus, Its not that the Foveon approach is a bad idea, Its that it severely limits the evolution of the design in light of new advances in wafer / sensor design. Its like velocipedes. If the huge from wheel is necessary, that drives the design. 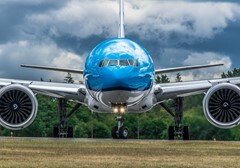 That they could not produce a 24MP x 3 planes design, or even a 16MP / 3 plane design means they are tied to huge pixel pitch. Look at the noise. It starts falling apart at 200 ISO and by 1600 its not even a camera. So THE issue is they need huge photosites to get enough light to produce a passable image even at base ISO. Again, is there a way to do it? Probably. But this is a severely crippled design. 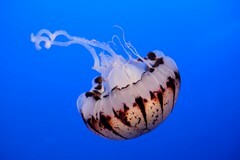 Believe me, as a Pentax owner, I recognize the symptoms of loving a camera brand despite all the stupid things they do. The distinction between Sigma and Pentax is that the latest Pentax gear is a huge improvement. The Sigma? IDK, seems like "well we have to do something, lets add megapixels"
Don't get me wrong. I'm not saying that Foveon is not a severely crippled design in some ways, just as the typical Bayer pattern CFA sensor is severely crippled in some ways. For high ISO shooting, don't try to use a Foveon sensor, unless you're making B&W photos. Then they work great at high ISO - better than many cameras with the typical Bayer pattern CFA sensors. Dont worry, be happy BobORama. Everything is fine. I don't need megapixels. I shoot the sd Quattro in Low Res. 3x2.704x1.808MP. And the quality at base Iso is, like Sean Reid wrote in his review: "SD Quattro H files aren't perfect but their uniqueness and beauty is neither imaginary nor hyped." For me it is a very good tool and i like it. For other maybe not. That's life and like the camera, like everything, it is not perfect. Me too. What I find odd is that they don't offer both a Bayer and a Foveon model. If they didn't, I'd buy the Bayer, basically right now. Sigma should just acknowledge that they're not a sensor company - they're a glass company. Sensor R&D is never going to play off for them. Roll that R&D into the camera body itself, buy the sensor from Sony, and give the world a top-notch FF mirrorless body to go with all that Sigma glass. If you like the 3-layer Foveon, you buy the SIGMA. If you like the singe layer Bayer, go to Sony, Canon, Nikon, etc. It is just simple. Sony already offers that, and Sigma gives you the use of the Sony A7r II and Sony A9 by making an adapter to use all their SA mount glass on the Sony bodies. Besides, the Sigma cameras are becoming more and more popular, and Foveon technology is superior in some ways, so I applaud Sigma for continuing with it. Some day it might not continue, but it's been going for more than ten years now, and I don't think it's going to stop any time soon. The unique Foveon sensors offer something different, and Sigma champions that. Good for them! I've been following these comments with some interest - and I am pleased. So very pleased that those of us that know and can accomodate the short comings of these cameras can rise above the banal, and do some unique stuff. The less 'shooters' take them up, the more 'photographers' with these tools, will make good the attributes they provide. They are not for the pixel peeper, they are for those that can recognise an opportunity, whack you between the eyes with impact, and tell a story. They have changed my approach, and what I see. The less of them about the happier I'll be in my point of difference. Go to the Image Quality page. It barely edges out similar priced competitors at base ISO. At 1600 ISO, which one might actually need to use - say when in doors, or when its overcast, or its windy and the trees are swaying or like every other shot I have taken. It looks like someone sand blasted the image. Its not merely lower performing, its truly pathetic performance. 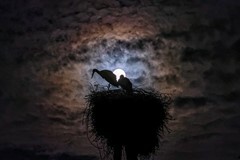 If you are interested in executing on your artistic vision - great I get that - the camera is a tool. But the Sigma is like crushing the hands of a painter just to make him suffer a little more for his art.
" But the Sigma is like crushing the hands of a painter just to make him suffer a little more for his art." That's only true if it's your only camera and you need to use it at 1600 for indoor, low-light portrait shots. But taking in to consideration its evident total unsuitability for such a purpose, then the context is otherwise. And for other tasks, it's just fine. "Go to the Image Quality page. Pick 6400 ISO. ( or even 1600 )"
If you would know something about the Sigmas or might even have read the article, you wouldn't bring that up. 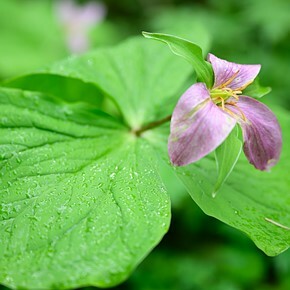 foveon merrills can be used at 100% at or near base iso, NO bayer can be w/ equal detail and quality, so low iso is fine for many types of photography. if you need 6400 iso, you need a large sensor large pixel lower resolution cam, 35mm or even medium format not aps-c ! Erh, those highlights and shadows are awful. Even for studio use, such a poor dynamic range is a dealbreaker. Look ok to me. It has actually got a reasonable amount of DR. It's only lacking in comparison to other current cameras. Even 5 years ago no one would be complaining about 10 stops of DR. I think modern cameras have also given people an oversensitivity to noise, also. But in the real world, the artist can get away with quite alot, so long as the resolution's there. And luminance noise of this kind shouldn't be a problem even to the fine-artist. Bracketing can only do so much. That waterfall picture in page 4 is ruined by completely clipped highlights, but bracketing the wouldn't have helped here. You forgot to mention the other downside of the long flange distance: lack of adaptability of other lenses. For a company whose primary sell is to provide third party lenses for other manufacturer's bodies, it is cheeky that they do not allow their own cameras to be adaptable to other mounts. Since only about 3 people use their cameras, they've got to make money with profitable side products. If they've surveyed and worked out that the 3rd party lens market will undermine that profit, then better that than no camera at all, I reckon. Sigma doesn't build these cameras for customers. They build them for themselves. It just happens that some customers like them as well. I don't understand making this model APS-H. Does Sigma make any APS-H lenses? But once you realize these cameras are not made with a market in mind, such questions become irrelevant. I love cachet and secret sauce in my pics. Along with the right lenses, then even the photographer viewer should be wondering with pleasure at the indefinable qualities of the pics that they can't quite put their finger on. This, I think, is one of those cameras. Fast is relative, good is relative. Important are your personal point of views. Thats make you shoot the "one and only" photographies. At the end its all about PASSION and CONFIDENCE. I love my wife, not my sd Quattro, but i like it. Depends what your criteria are. You haven't said. Without that, your post is really talking to yourself in public. And it's a bit annoying. I, for one, am not worried about a certain amount of noise, so long as it looks organic and isn't chroma noise. It's one of the reasons I favour x-trans fujis, which aren't any better than Nikon APS-C, but whose noise is good to print. Then you would not at all be happy with the Sigma ... ANY Sigma. The noise is ugly. And it arrives much too early in the ISO range. I can't understand why anyone, in fact, would purchase a camera with noise levels similar to an early low-rez point-and-shoot (like a Canon A95!) in this day and age. The "special look" of Foveon images, IMO, is no trade-off for ugly noise levels that high. Well, that's weird. The noise is luminance and organic. It's like good quality film noise (rather than the colour speckles of poorer and high ISO film). I've always liked the look of large pre-digital portraits and their film noise. So long as it's not overwhelming, of course. To me, that noise is just fine even at ISO 800. I don't know that I'd really want it in landscapes. But at ISO 100 and at normal viewing distances, there is no issue here. The same as the K1? Have you tried a K1? Please explain what you're talking about, because after reading that twice I have no idea. 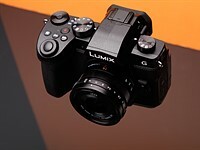 this camera and the K1 are impressive cameras, and the fact that the K1 is not a sports camera does not mean it can not be suitable for tons of other things. So... you are talking to yourself. There is nothing organic about the noise.